Plenty of kit as standard. Quirky looks. Noisy engine. Interior feels cheap compared to the Volkswagen Up. Not much space. Steering wheel doesn't adjust for reach. 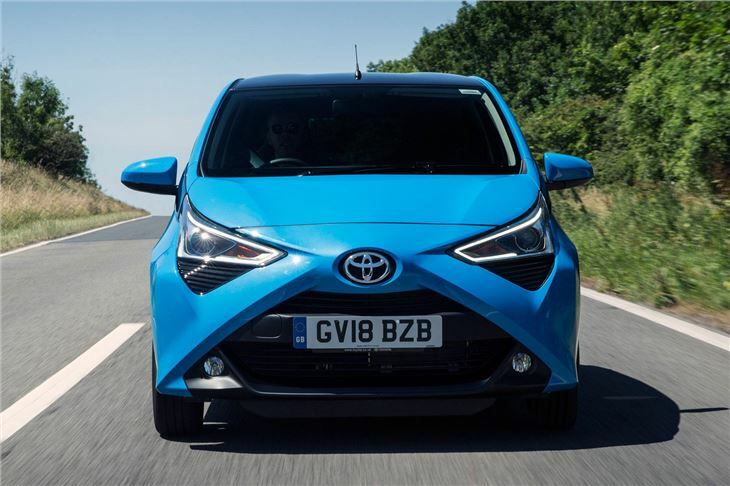 Building on the success of the first Aygo, the second generation is once again a joint project with Citroen and Peugeot who have their own versions in the shape of the C1 and 108. However, this time around there's a lot more to differentiate the three, particularly in terms of looks. 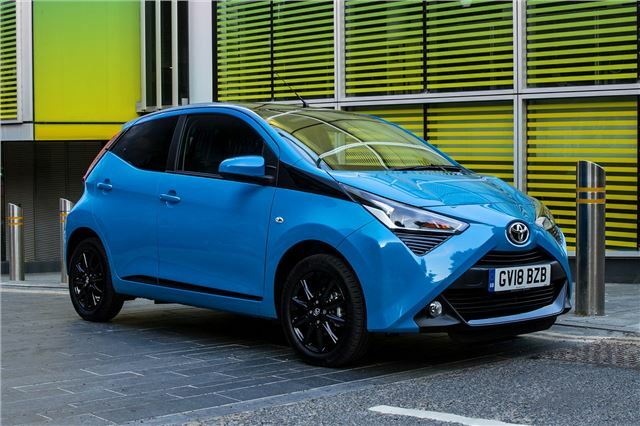 So, the Aygo ditches the rounded and soft look for a more angular and aggressive style. 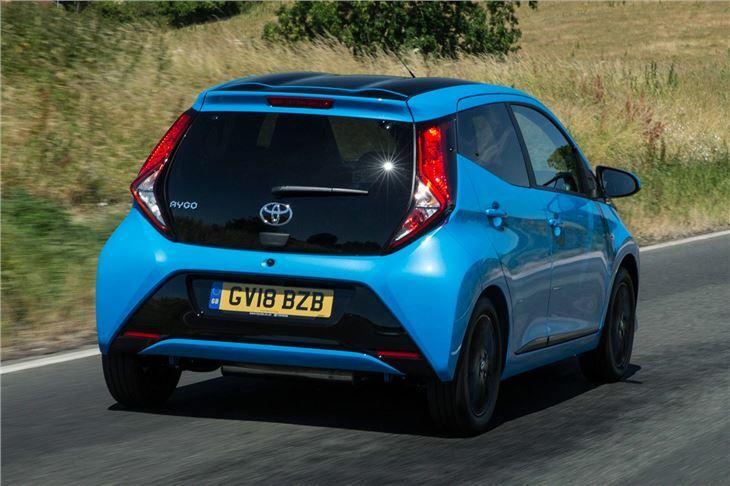 Toyota wants the Aygo to be unashamedly Japanese in its design, and there's certainly plenty going in. In our opinion it's the most interesting of the trio. 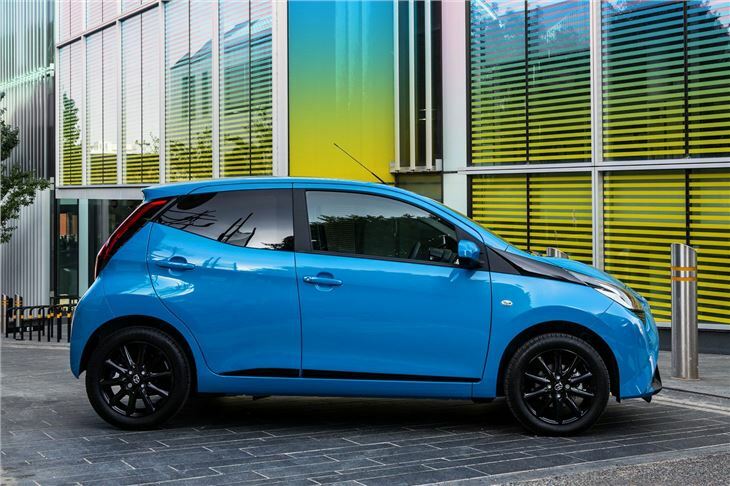 There are lots of customisation options available with buyers able to choose different colours for the x on the front, rear bumpers inserts and other exterior details. It's the same story inside with personalisation packs that give you gloss panels in various colours, giving it a youthful and funky feel. 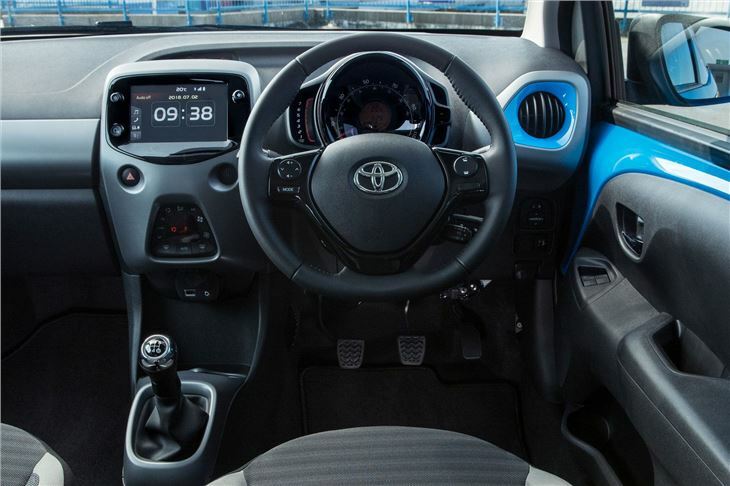 The interior itself is more refined and comfortable than the original Aygo, although it's not as sophisticated as a Volkswagen Up. Features like the dated trip display let it down somewhat. There's a fair amount of hard plastics too, but that doesn't detract from the overall feeling of a well finished and durable interior. The new Aygo uses the same 1.0-litre three-cylinder engine as its predecessor, but with improvements to refinement and economy. It still has the same peppy nature but is cheaper to run with official economy of 68.9mpg. 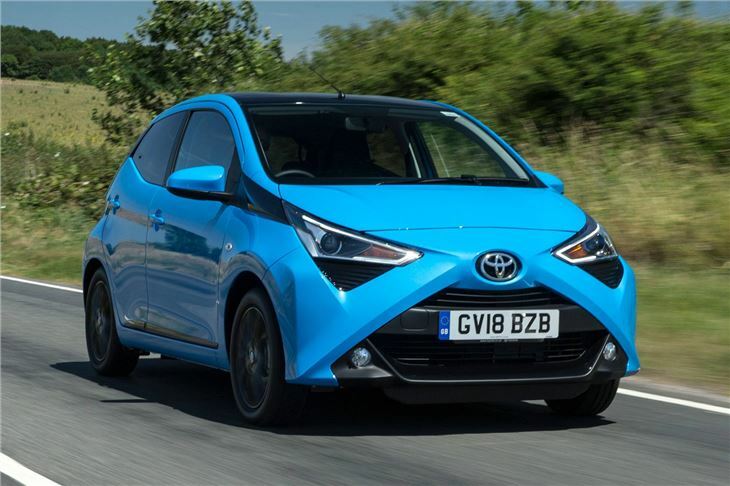 Toyota updated the Aygo for 2018 with extra noise insulation but it's hard to dampen the noise of the three-cylinder engine at higher speeds. Things are better around town, with a tight turning circle and easy steering - although the short clutch travel takes a bit of getting used to. The gear change is surprisingly precise for a car in this segment. 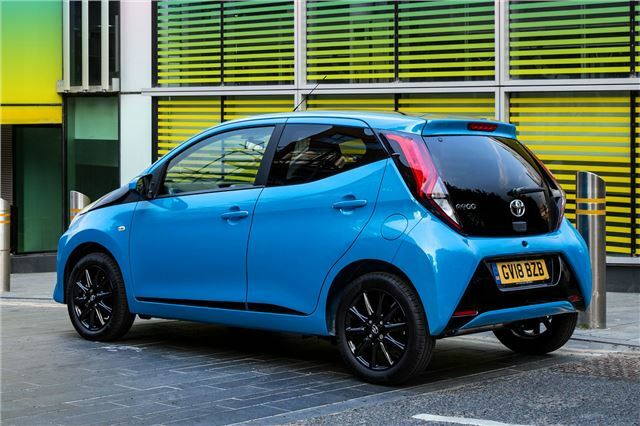 While the Aygo doesn't do anything revolutionary in the same way as the Volkswagen Up trio, it will be an affordable city car to own and an easy one to live with. Of course, being a Toyota, it comes with a five-year warranty as standard, while fuel and insurance costs ought to be low.